The general election in India in May was groundbreaking in many aspects. It was the world’s largest election, with 550 million out of 830 million eligible voters taking part for a turnout of 66.4 percent, a record high in India, the world’s second most populous country. The election process lasted more than a month, running from April 7 to May 12. The election saw the National Democratic Alliance, or NDA, led by the Indian Peoples Party, or BJP, win 62 percent of the seats, taking 336 lower house seats out of a possible 543. The BJP alone grabbed more than half the seats, winning 282, a historic victory for the BJP. Business-focused Narendra Modi of the BJP, known for his strong leadership, became prime minister on May 26, after the party marked its landslide victory when the results were declared on May 16. What will happen to India and Japan-India diplomacy? 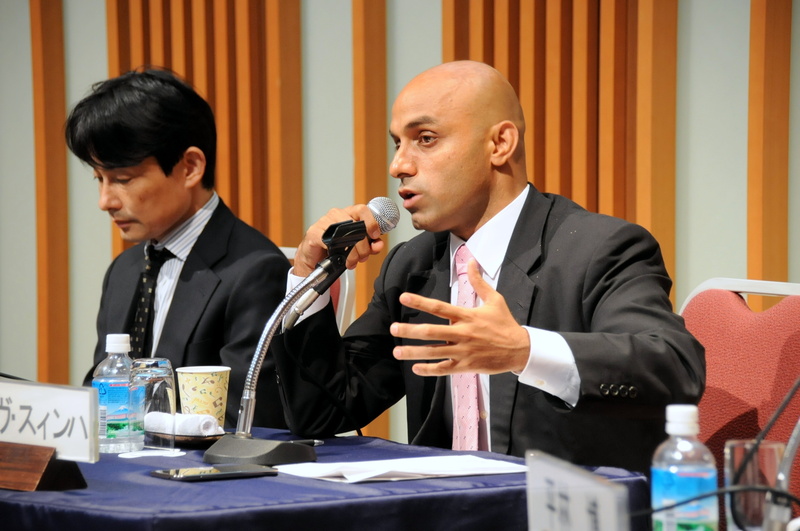 Three Japanese academics and an Indian company president delivered presentations and discussed these issues, at a symposium titled “Outline of the Indian General Election and the Prospect of the New Administration: Influence on Japan-India Diplomacy,” organized by the Keizai Koho Center in Tokyo on June 19. 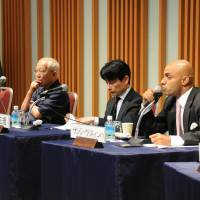 Prior to the discussion, Makita Shimokawa, deputy director-general of the Asian and Oceanian Affairs Bureau at the Ministry of Foreign Affairs, spoke about the election and how Japan will deal with the new India. “Modi (the former chief minister of Gujarat state) has worked on establishing a partnership with Japan in the area of economic development in India. With Modi in the top position, we will accelerate a strategic partnership with India. 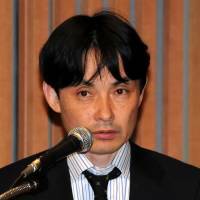 We would like to help build infrastructure and deregulate in India,” Shimokawa said. The two countries have already been holding discussions at the high ministerial level and will put even more focus on them, he said. 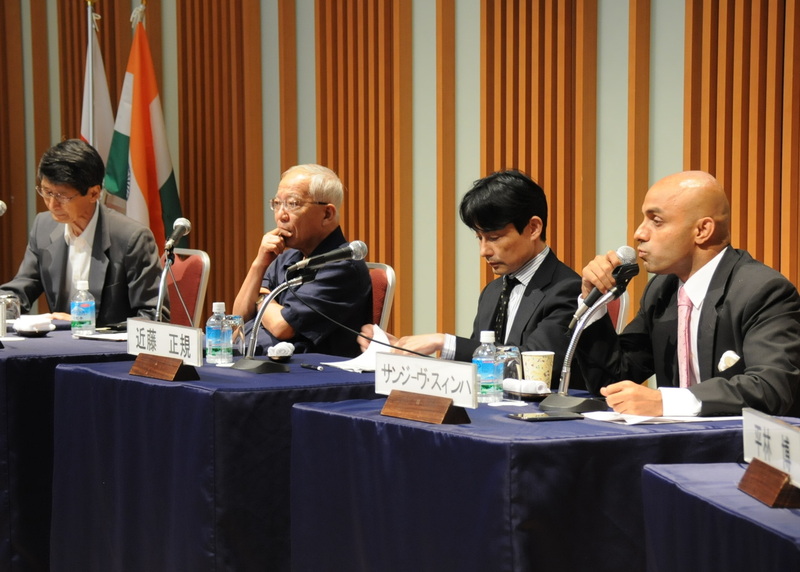 In an example of security collaboration, Japan, India and the U.S. have talked about potential joint military exercises. Also, India has decided to buy US-2 amphibious aircraft from Japan and the two countries will develop the planes together, he said. Japan will also discuss an alliance on nuclear power generation with India. The Ministry of Foreign Affairs hopes to have Modi visit Japan, with some media reporting that a visit may come in August. “It’s rare for an Indian prime minister candidate to push economic growth as a campaign pledge,” Sato said, calling Modi’s policy “Neo Hinduism.” Usually, a prime minister candidate opts to appeal to voters by narrowing the wealth-poverty gap, he said. The manifesto also shows Modi’s appointment of BJP members junior to him as Cabinet members. While he puts the members senior to him at the top right corner on the front page of his manifesto, they are not Cabinet members. That means Modi has established his leadership in the administration, Sato said. Also, Modi gives the Prime Minister’s Office a great deal of autonomy on political decision making, which also implies he will exercise strong leadership. Sato is watching how Modi handles the National Volunteer Organization, or RSS, a charitable, educational, right-wing and volunteer Hindu nationalist group, which helped the BJP with the election. Some Indians feel that Modi will not have to toe the RSS line because the BJP commands a majority of congress by itself, Sato said. “In short, I can see from its diplomacy that India wants to be a superpower,” he said. Horimoto began his presentation by reviewing India’s past diplomatic policy. He said India wanted to be a superpower in the 1990s but its strategy was unclear. In 1993, India began a “Look East” diplomacy policy, a strategy aimed at establishing amicable relationships with Southeast Asia amid the emergence of China as a major regional player. In 1998, India conducted nuclear weapons tests. 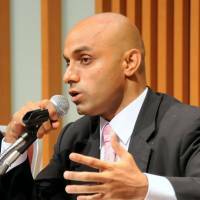 “Then, from 2000, it has become clear that India aims to become a superpower through economic growth,” Horimoto said. He then explained his interpretation of India’s diplomatic goals from three different perspectives: global, regional and subregional. Globally, India will formulate its diplomatic approach under the assumption that Europe and the U.S. no longer play a central role in international politics, he said. India wants to increase its diplomatic might to create international order, amid the nonexistence of clear superpowers in the world. Concretely, India will want to strengthen cooperation with China and Russia and do other things to enhance diplomatic infrastructure, such as strengthening its military, he said. “Becoming a member of U.N. Security Council is one of India’s biggest goals,” he added. Regionally, in Asia and the Western Pacific, India wants to maintain a “relatively strong position,” he said. He expects India to work toward becoming a large maritime power, he said. To achieve the goal, India will probably cooperate with the U.S. more and strengthen its Look East policy, politically and economically, especially with Vietnam and Singapore, he said. Subregionally, in South Asia and around the Indian Ocean, India wants to establish an “absolute power” status. For that, India will carefully monitor Pakistan and China’s moves, as well as those of the Middle East and Africa, he added. Because Modi has little experience in diplomacy and his BJP has majority of the lower house, he is free to conduct his style of diplomacy, instead of sticking to past practices, Horimoto said. “A paradigm shift in India’s diplomacy is about to take place,” he said. New India will try to form an amicable relationship with the U.S. and Japan, meaning the “Japan-India relationship will definitely be better,” he said. “India will keep a good relationship with China and Russia for Eurasian security and the U.S. and Japan for maritime security,” he said. Kondo’s presentation first explained why Modi saw such a landslide victory. One of the reasons was that the economy was in bad shape following the global recession that started in 2008, a hike in oil prices, a current account deficit, a weakening rupee and the reduced impact of quantitative easing. People were looking for an economy-savvy leader, he said. Modi chose the right issues for his election campaign, which were development, anti-corruption and leadership, Kondo said. People gradually began losing faith in the Gandhi family in favor of Modi, he added. Modi’s media use was also another factor in his landslide victory. “He was very good at using the media. He frequently used social media such as Youtube,” he said. 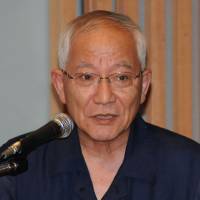 Now, Modi is trying to strengthen governance by reducing the number of Cabinet members and increasing the authority of the Prime Minister’s Office, Kondo said. Rather than increasing taxes, Modi wants to reduce government debt and subsidies, while abolishing or reducing income tax, Kondo said. Modi is also working to deregulate many industries to revitalize them. This includes making it easy for small companies and foreign companies to enter new markets. Such industries include power generation, transportation, information technology, manufacturing, financing, agriculture, education and others. 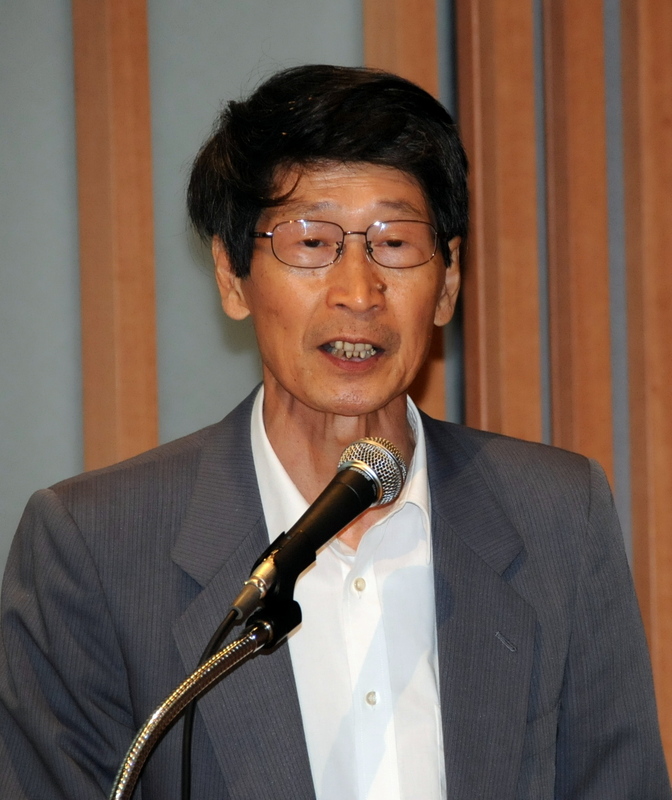 Kondo also echoed other speakers in saying the Japan-India relationship will improve. However, there are some concerns whether Modi’s reforms will be successful. These include potential BJP or RSS opposition; overly high expectations for Modi, which may cause severe backlash over minor setbacks; and bad weather caused by El-Nino may hurt agriculture. External risks include terrorism, a potential worsening of the situation in Iraq, oil price fluctuations and changes in U.S. financial policy. 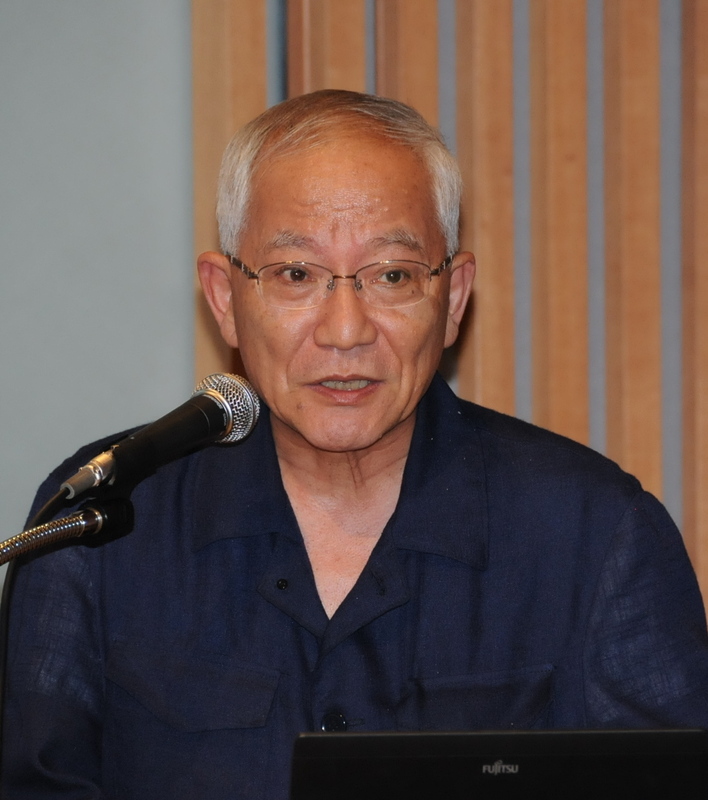 Regarding differences between “Abenomics” and “Modinomics,” the former focuses on macroeconomics and the financial industry, while the latter concentrates on microeconomics and governance, he said. The Japan-India Association President Hiroshi Hirabayashi moderated the question and answer session after the presentations. Hirabayashi asked what will happen to India-Japan diplomacy and India-China diplomacy under Modi’s administration. 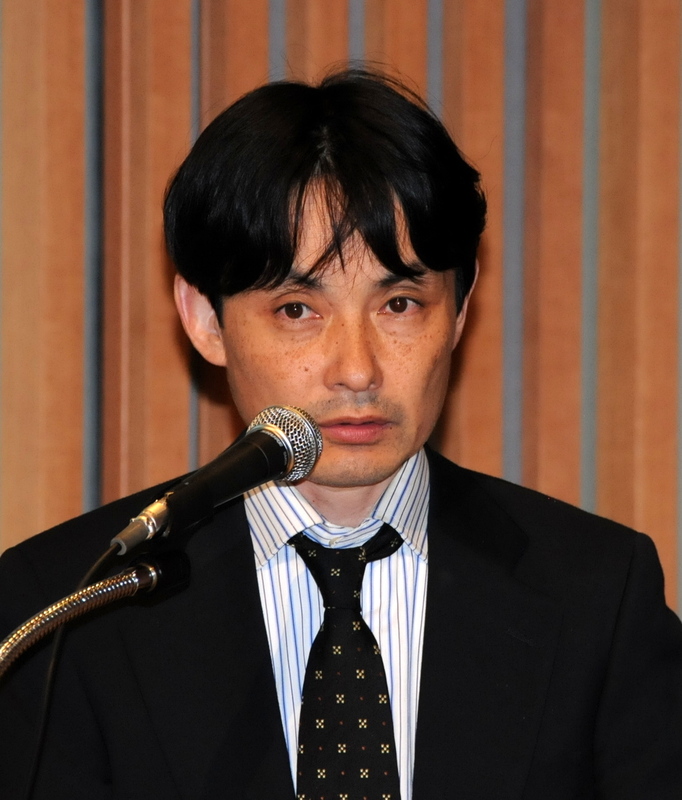 Horimoto said it is still unclear, but he thinks Modi will be prudent of diplomacy and treat Japan and China equally. He added that China is also being prudent with how it deals with India under Modi, as China did not express displeasure with representatives of the exiled Tibetan government at Modi’s inauguration. Regarding how direct investment in India will change under Modi’s administration, Kondo said the difficulty in doing business in India will not change regardless of Modi’s administration. Sanjeev said Modi has a strong business connection with the U.S. as he cemented it as the chief minister of Gujarat state.